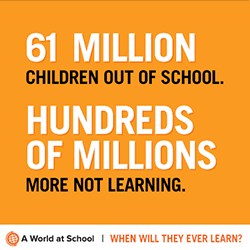 There are 61 million children out of school and many more don't have access to quality learning. The film' "Girl Rising" tells the stories of girls across the globe and the power of education to change the world. 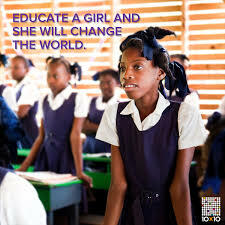 Are you inspired to help the cause of girls' education around the world? You can make an impact in many ways, but by just being aware of the issue, you can spread the word. Sjældent er Slotspladsen foran Christiansborg set så levende og farverig, som da mere end 600 børn hev papdukker frem og dansede en dans for statsministeren ved IBIS' årlige aktionsdag den 23. maj. Global Action Week is a worldwide annual campaign organized by the Global Campaign for Education (GCE) to raise awareness of the importance of Education for All.